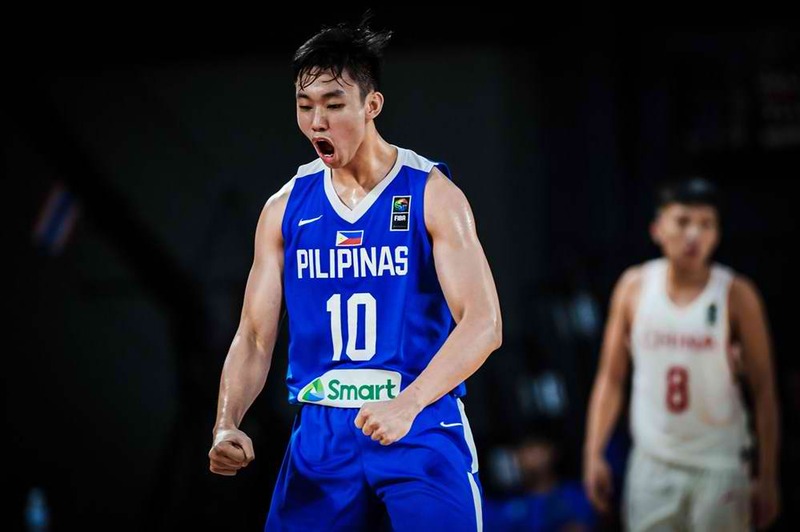 Hoop Nut 2018 FIBA U18 Asia Championship Batang Gilas Batang Gilas Pilipinas FIBA FIBA Asia International #FIBAU18Asia 2018 Day 3 Recap: Iran, Korea, Philippines, and Australia roll to QFs! 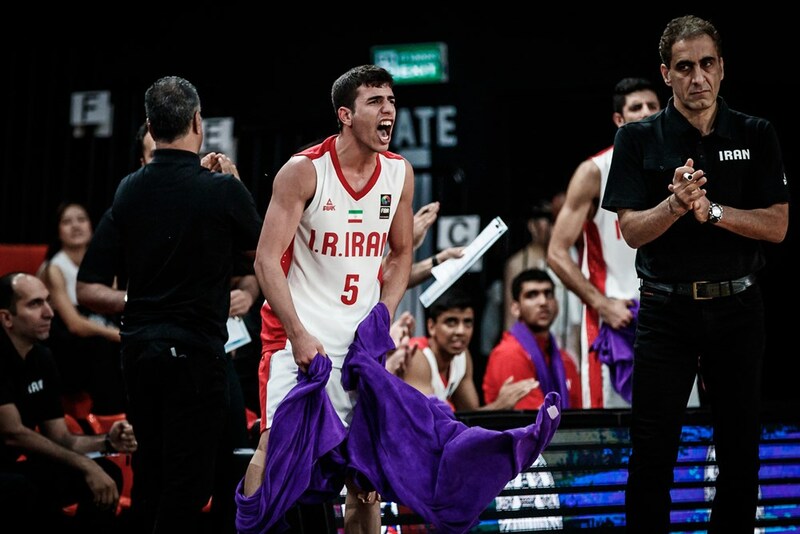 #FIBAU18Asia 2018 Day 3 Recap: Iran, Korea, Philippines, and Australia roll to QFs! 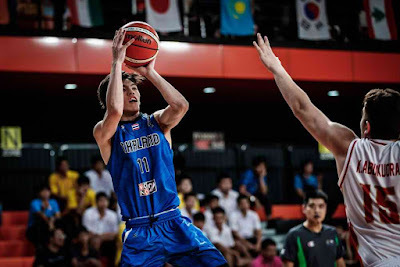 Dave Ildefonso flexes as the Philippines catch a big fish on Day 3! 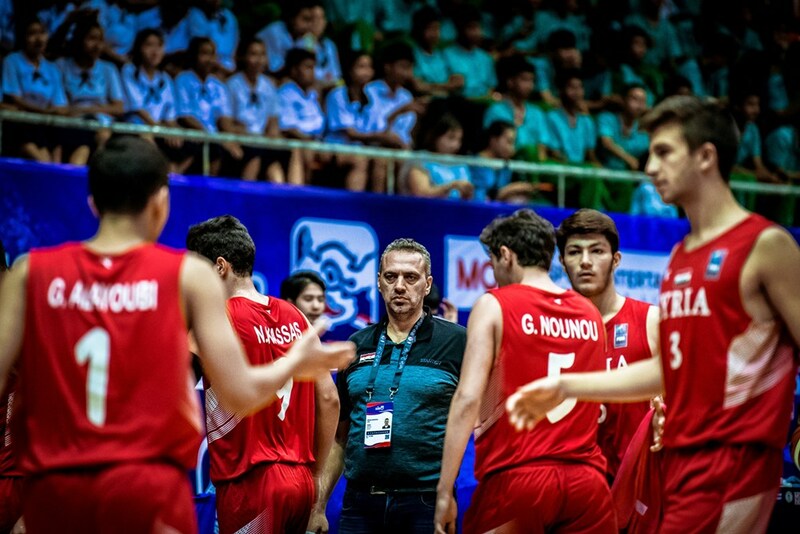 The first four Quarter-Finals teams were known after Day 3 at the 2018 FIBA U18 Asia Championship in Nonthaburi, Thailand. 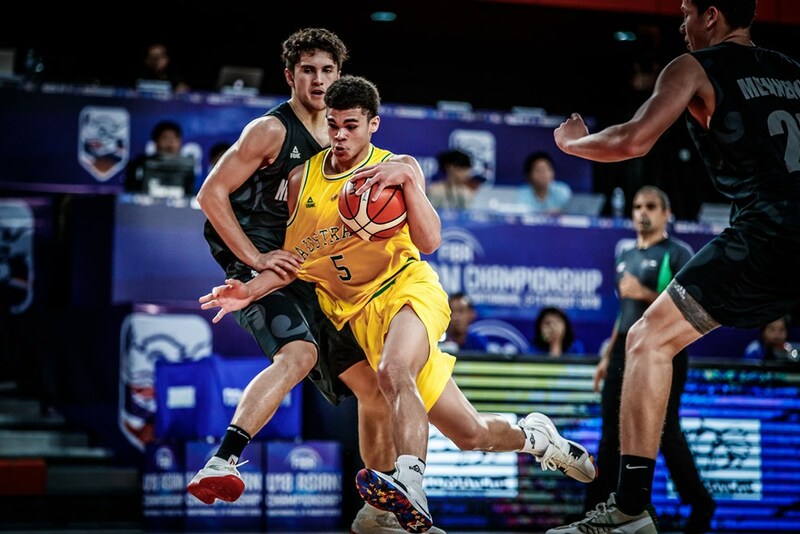 Iran, Korea, Philippines, and Australia all disposed of their respective foes at the end of group play to advance to the Final 8 and move a win away from the 2019 FIBA U19 Basketball World Cup. Indonesia sprung a wicked trap on Day 3 and pulled the rug from under Kazakhstan to finish third in Group A and advance to the Play-Off Round. Yesaya Michael stepped up big for Timnas Junior with 26 points and 10 rebounds, while Ali Alhadar added 13 points and 9 boards. 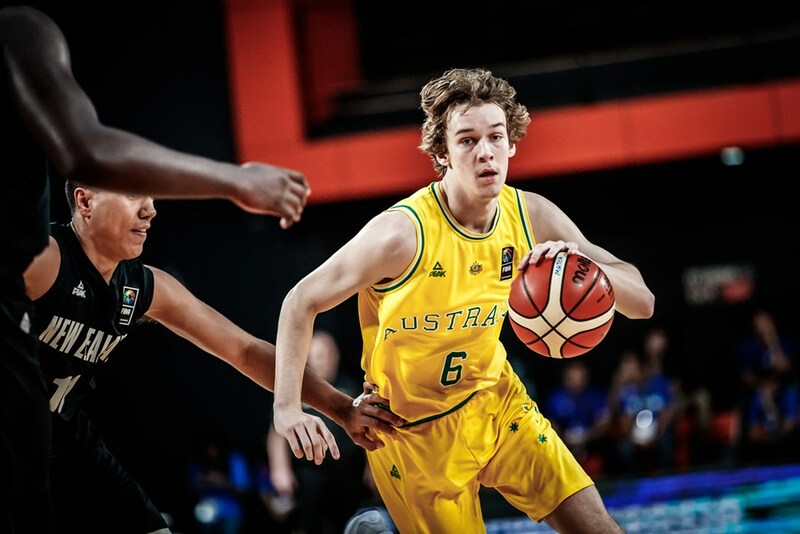 Nil Fomichyov was Kazakhstan's best player here with 14 points and 10 rebounds. 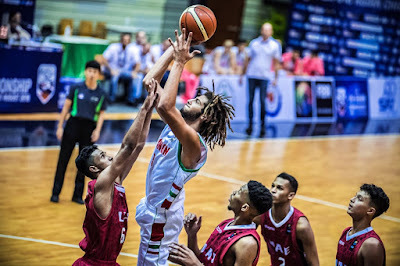 Ali Alhadar grabs the rebound for Indonesia. 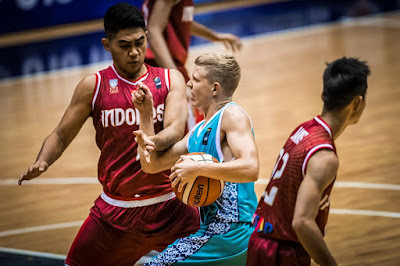 Dmitriy Romanenko struggles with his offense against Timnas Junior. 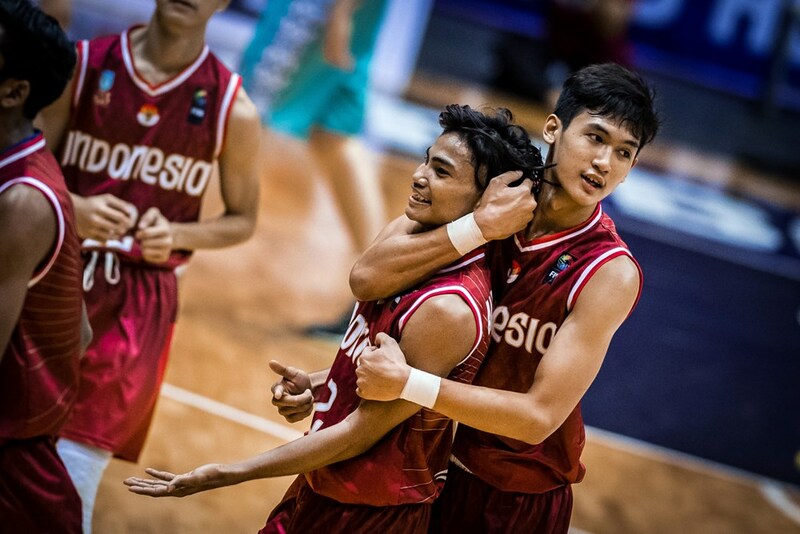 Yesaya Alessandro Michael was the hero for Indonesia on Day 3. The first marquee matchup of the day turned into a big blowout in favor of the Emus, who rocketed to the top of Group C and will be waiting in the Quarter-Finals. 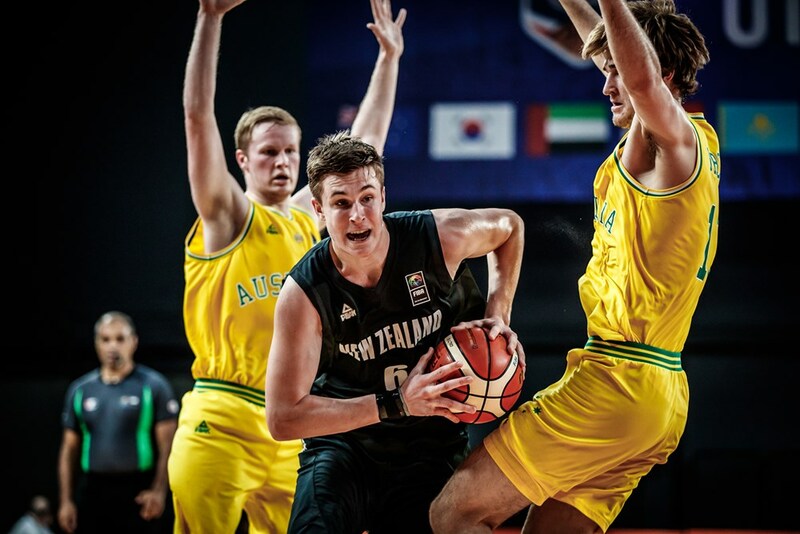 The Junior Tall Blacks kept the game close for one whole quarter before the Aussies turned up the jets and broke the game open in the second period. Kyle Bowen notched 19 points and 9 rebounds for another strong showing even as Sam Froling also did well with 19 points and 11 boards of his own. They limited the Kiwis' top guns -- Flynn Cameron and Max Darling -- to a combined 15 points. Isaiah Lee speeds pas the New Zealand defense. Kiwi big man James Moors tries to evade the double-team. Kody Stattmann drives around the Junior Tall Blacks. This was a nip-and-tuck affair all throughout, but in the end, it was the defending champions who prevailed thanks to some clutch shooting. Behshad Arabzadeh was huge for Team Melli here with 14 points, 7 rebounds, 5 assists, and 2 blocks, while Eshagh Hatami and Ehsan Dalirzahan tossed in 13 and 10 points respectively. Japan put up a valiant stand but had no answer for Iran's size in the paint. Japan were outrebounded, 53-29. They were paced by 15 points from playmaker Takuto Nakamura. Iran qualify for the Quarter-Finals thanks to this win. Behshad Arabzadeh was the top-scorer for Iran in this big win. Takuto Nakamura's impressive showing was all for naught. 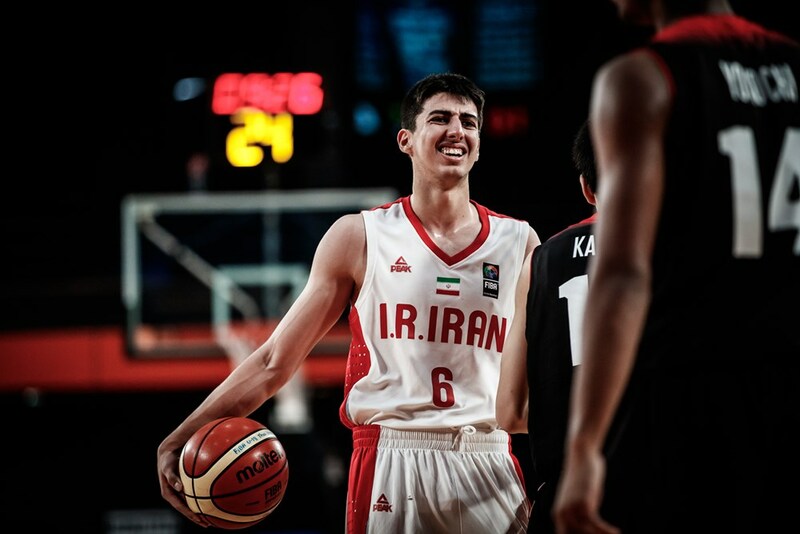 Ehsan Dalirzahan and the Iranians punched their way to the Quarter-Finals. 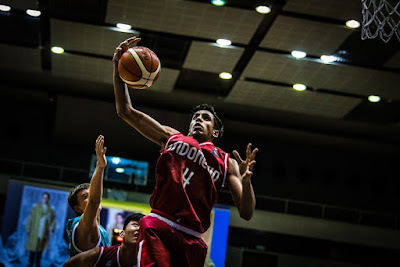 The hard-luck Indians finally broke through the win column here in Nonthaburi thanks to a fine drubbing of West Asia side Syria. 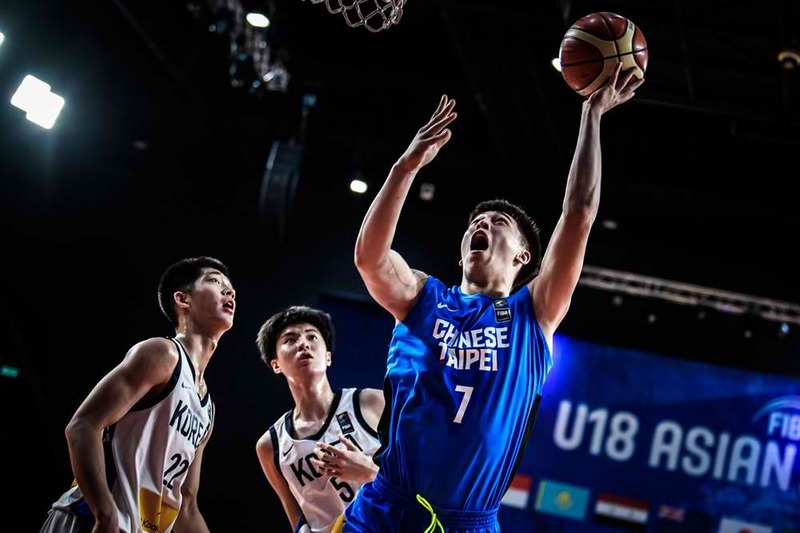 The U18 Young Cagers started strong with a 27-13 first quarter performance and proceeded to cruise to only their first win of the biennial competition. Once again, high-scoring wingman Rajeev Kumar was at the forefront with 32 points and 7 steals. 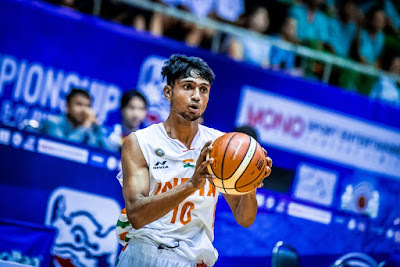 He was supported by 14 points from Princepal Singh and 11 each from Sejin Mathew and Harsh Tomar. On the other end, Ammar Al Ghamian was the only Syrian to score in double-digits with 15 points. 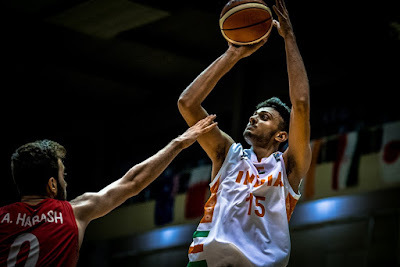 Center Princepal Singh rises for two of his 14 points. Rajeev Kumar has been an offensive revelation for India. The Syrians bid the tournament good bye after their third loss in a row. The Lebanese -- a Semi-Finals team in 2016 -- haven't had much success here in Nonthaburi, but they were able to earn their first victory after thrashing UAE to finish 3rd place in Group A. Alex Zanbaka led the way for the U18 Cedars with 21 points and 14 rebounds, while Ameer Ksab recorded 19 points, 9 boards, and 4 blocked shots. 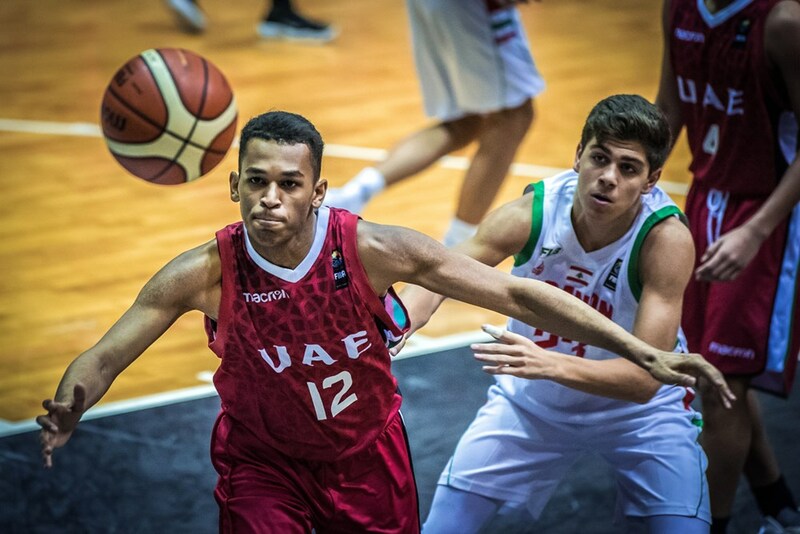 The Emiratis, meanwhile, drew 15 points from Hassan Hussein, but they still finished winless after 3 matches and have been eliminated from contention. Alex Zanbaka was terrific for Lebanon on Day 3. Ameer Kasab had a dominant showing against UAE. Shaher Alhammadi tries to get the loose ball. 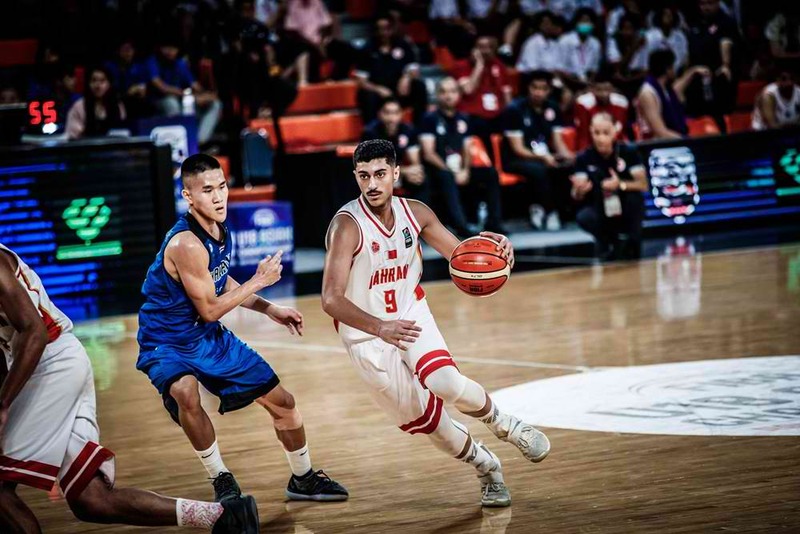 The host country had a lot of brilliant moments in this encounter, but in the end, they could not contend with the Bahrainis' superior rebounding and shooting. 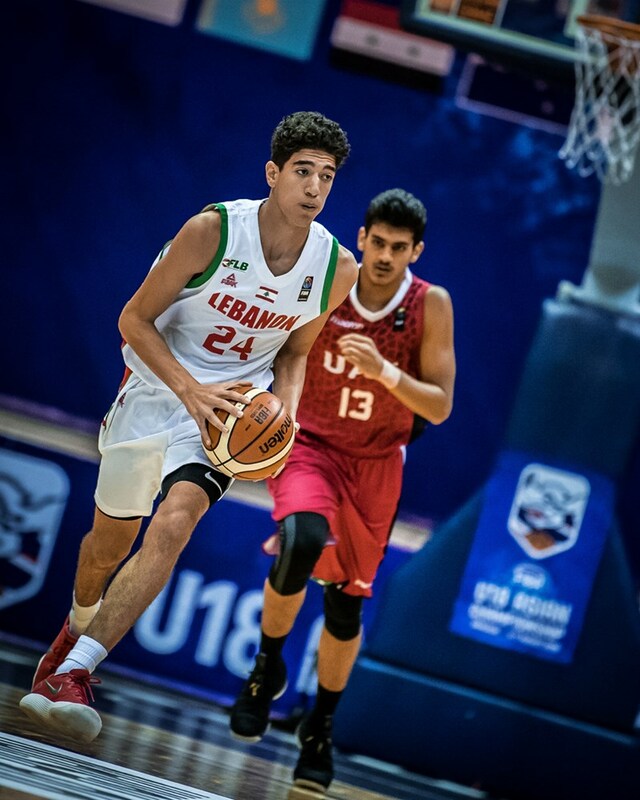 The GBA U18 champions shot 53% from the field, while the home team made just 33% of their own attempts, and this was compounded by a 45-37 rebounding edge in favor of Bahrain. Rashed Mustafa exploded with 33 points for the victors, while Muzamil Hamoda and Baqer Ali scored 14 and 12 respectively. 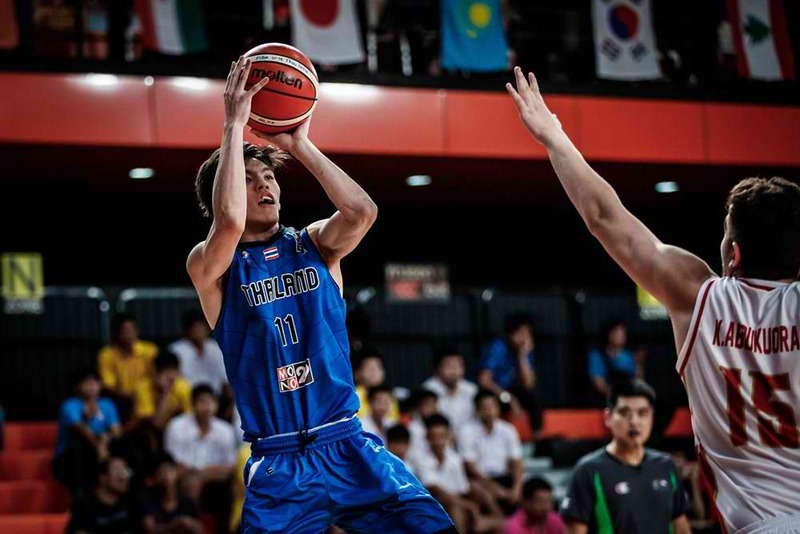 Pongsakorn Jaimsawad paced Thailand with 26 points. Ali Rashed tries to evade Thailand's perimeter D.
Mustafa Rashed slashes his way to the hole. Pongsakorn Jaimsawad's 26 points went down the drain. 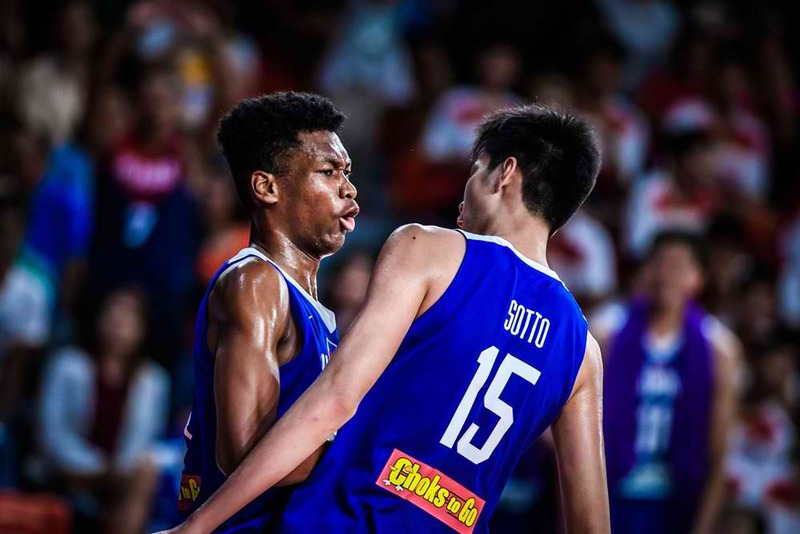 The Philippines set out to make a lot of noise in this tournament, and they sure did on Day 3 when they upended 11-time champion China. 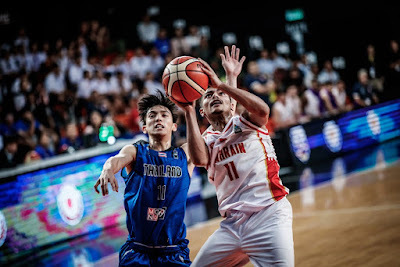 Batang Gilas held the advantage for nearly the entire game here, even leading by as many as 18 points late in the third period, as they locked in the top spot in Group B and consequently, a berth in the Quarter-Finals, where they will face the winner between Taiwan and Bahrain. Not surprisingly, their twin tower combo of AJ Edu and Kai Sotto did wonders in this game, combining for 24 points, 24 rebounds, and 9 blocks. 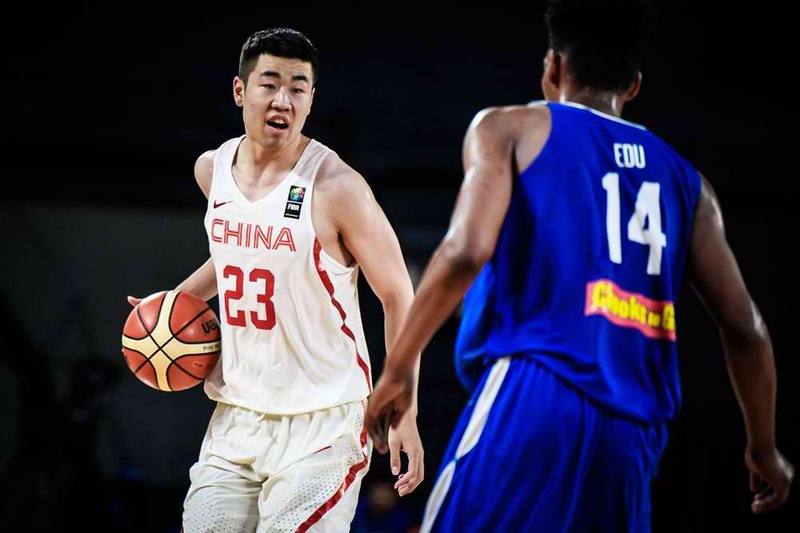 They outplayed their counterparts from China -- Michael Wang and Jiang Haoran, who finished with 27 points and 18 boards but only 1 block. 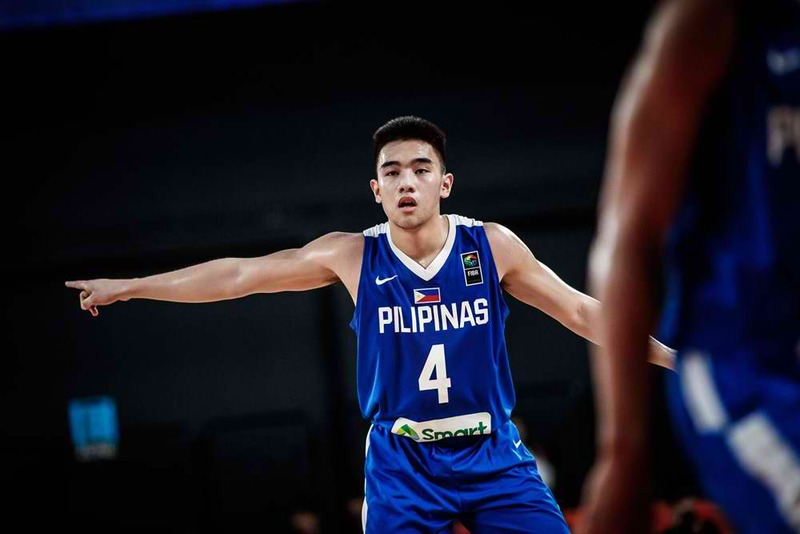 The backcourt also stepped up big for the Filipinos, with Dave Ildefonso tallying 18 points and the duo of Dalph Panopio and Miguel Oczon pairing up for 23. The Pinoys' twin towers continued their outstanding run in the competition. Michael Wang struggled with foul trouble throughout the game. 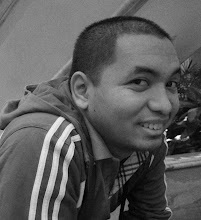 Miguel Oczon remained a solid contributor for Batang Gilas. Korea were expected to have smooth sailing against Chinese Taipei, but the latter had other plans, unleashing a searing endgame rally that nearly turned the tables on their East Asia rivals. Despite that, Korea survived and will await the China-Indonesia victor in the Quarter-Finals. 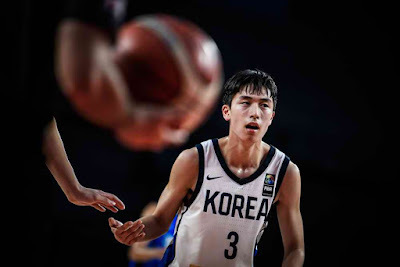 Back-up guard Park Moo-Been shone brightly here with 25 points on the back of 4 triples, while Lee HyunJung added 26 points, 13 boards, 4 steals, and 3 blocks. Big man Yeo JunSeok also did well with 18 points and 14 rebounds, canceling out the splendid production of Taiwanese slotman Jonah Morrison, who notched 21 points, 15 boards, and 3 rejections. 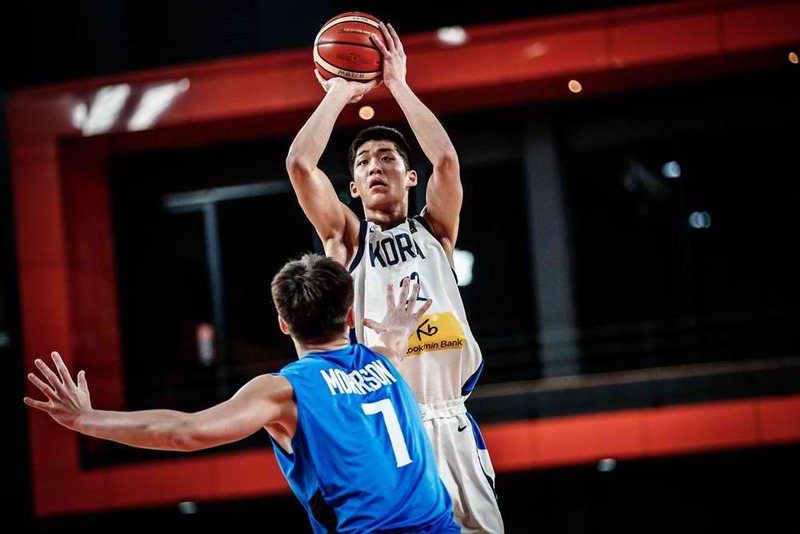 Ma Chien-Hao was also a force for Taiwan with 25 points in the losing effort. Jonah Morrison sparked a late rally that fell short. Park MooBeen picked a great time to catch fire for Korea. Yeo JunSeok was excellent in the frontline for the Koreans. China v Indonesia -- winner faces Korea. 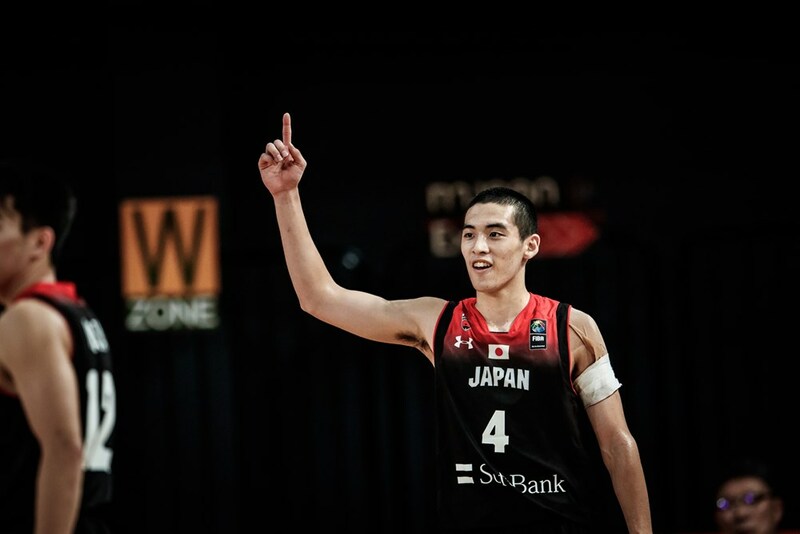 Japan v Lebanon -- winner faces Australia. New Zealand v India -- winner faces Iran. Chinese Taipei v Bahrain -- winner faces Philippines.